So what exactly is ‘Imago Therapy’ (pronounced’Imargo’) and how could we benefit as a couple, I hear you ask? Imago therapy was developed by Harville Hendrix, PhD, and Helen LaKelly Hunt, PhD. It is based on various psychological and theoretical ideas that relate to your ideas, perception and ‘image’ (imago in latin) of love, which is based around your family environment and upbringing. Couples who are committed to a long, sustaining relationship, who want to be in control of their own growth and happiness or want to improve and develop their relationship can benefit from Imago Therapy. Imago therapy will explore and unfold individual vulnerabilities and allow you as a couple to understand why you are the way you are. Your Imago trained relationship therapist will act more like a coach, then a therapist while holding you both in a safe space, allowing a natural flow of listening and talking, known as the Imago dialogue. 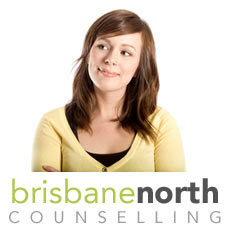 As you are guided through your sessions, your Brisbane North Counselling therapist will equip you, as a couple, with effective strategies to better communicate and resolve conflict with one another. With in a number of sessions the couples will themselves be skilled enough with the dialgoue process to then continue to dialoguing safely. Ultimately the aim of Imago dialogue process and relationship therapy is to develop a deeper, stronger connection and greater understanding of each other, allowing you to accept difference and manage your relationship as you navigate life and its challenges, hand in hand.